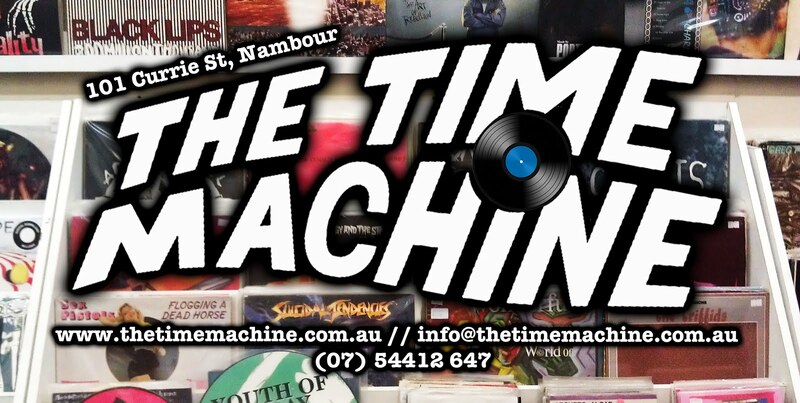 The Time Machine: Next Show @ The Commercial. The Floating Bridges + Andrea Kirwin. Next Show @ The Commercial. 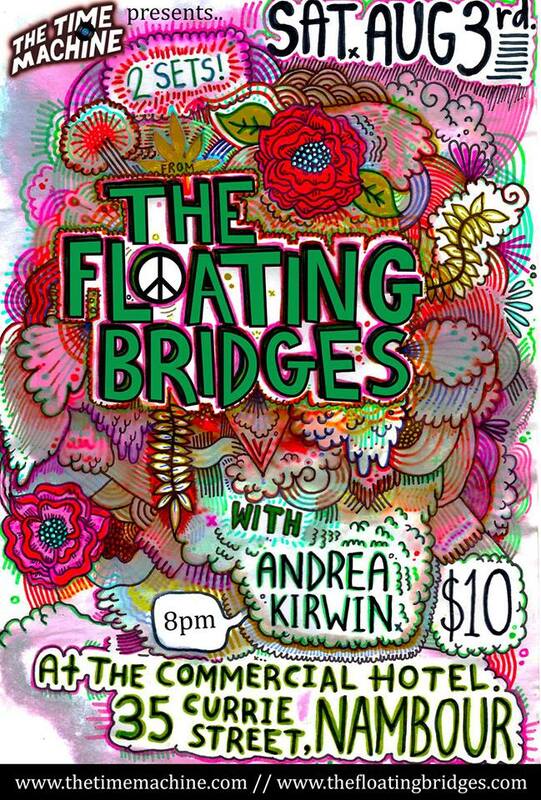 The Floating Bridges + Andrea Kirwin. If you live on the Sunshine Coast, you've probably heard of The Floating Bridges. They won't be playing many Coast shows as they're busy recording and preparing to tour again so catch 'em at The Commercial Hotel, Saturday 3rd of August, playing 2 (!) massive sets before they hit the road. If you haven't heard Andrea Kirwin, you're silly. She played at the Time Machine on Record Store Day and her voice send shivers down my spine. She works forSmart Pups Autism Assistance Dogs and sometimes brings puppies into the store, which is pretty amazing. So Sunshine Coasters, come and support some local musicians, have a drink, and give The Bridges a send off they won't forget. 8pm. $10 (on door). 35 Currie Street, Nambour. Courtesy bus available.